Hello tappers, it looks like the server is down at the moment. EA is aware of the problem and is solving it. Just to confirm, the servers are down and EA is aware and investigating. Please stay tuned for future updates on the matter. Thank you for your patience and understanding and sorry for any inconvenience, the teams are working as fast as possible to bring them back online. Update number 2 everyone. EA has confirmed Amazon S3 outage is the cause of this issue. Once they have solved it from their side all should be back to normal. EA teams are also working from their side to get services back up and running as well. Update: The server seem to be coming back online. Stay tuned for info on when it’ll be back up! So close. I noticed another website I frequent was finally working again so I thought TSTO might be back up again. When I went to log on, I got into the game but it crashed after I tapped my airport. 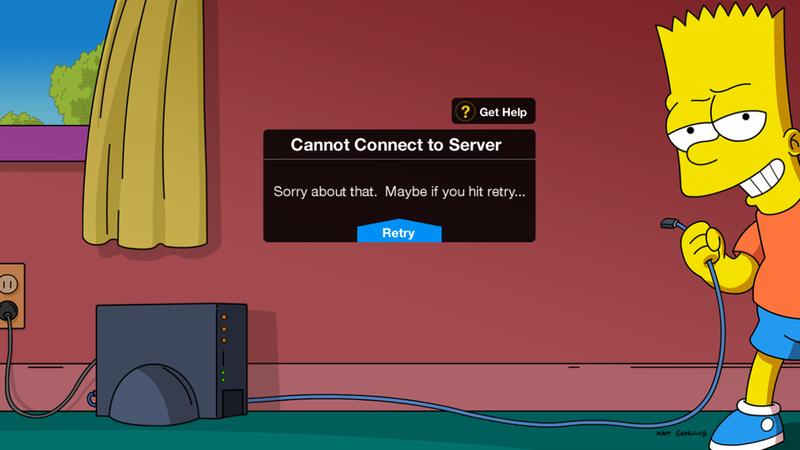 Now I’m getting the normal server errors. Hopefully it’s not too much longer. Are their servers on AWS? Because they’re all down the moments (and causing a mess all over the Internet). probably they’re linked to amazon.